An energy-efficient venue: Elise Amel, psychology professor welcomed attendees to the Anderson Student Center, the first LEED certified project on the St. Thomas campus. 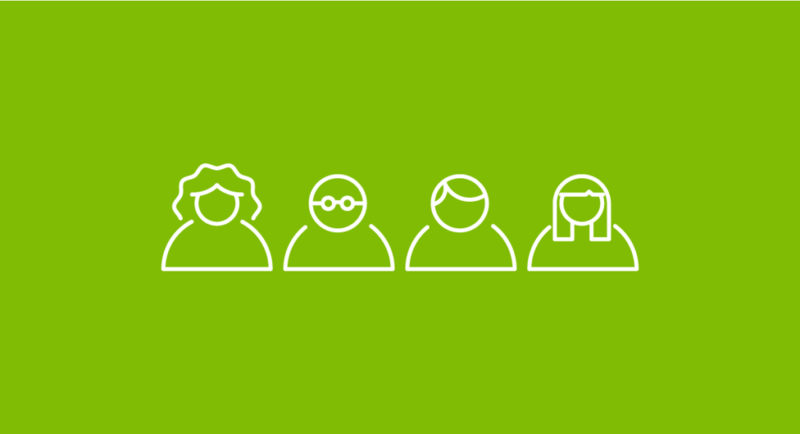 92% of all regularly occupied spaces have individual occupant electricity controls. In 2014 we added 96 photovoltaic panels manufactured by tenKsolar in Bloomington, MN and installed by Cedar Creek Energy. 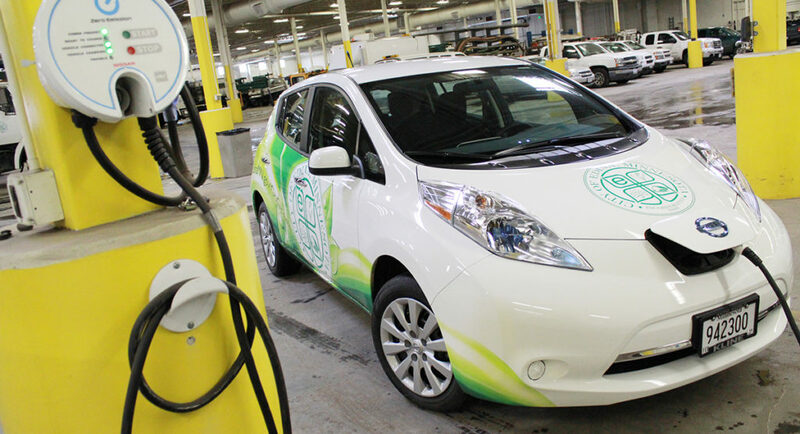 On average they will produce 56,000kwh/year for the next 25 years, roughly equivalent to 3.2% of the total annual electrical consumption of the ASC. Solar energy production at UST Anderson Student Center. Recommend Steering Committee Members: There was also a pitch for new Metro CERT steering committee members. If you are interested in joining the Metro CERT steering committee please send a few paragraphs to Diana at dmckeown@gpisd.net by November 15, 2016. Community Spotlights: The highlight of the event was the Community Spotlight. 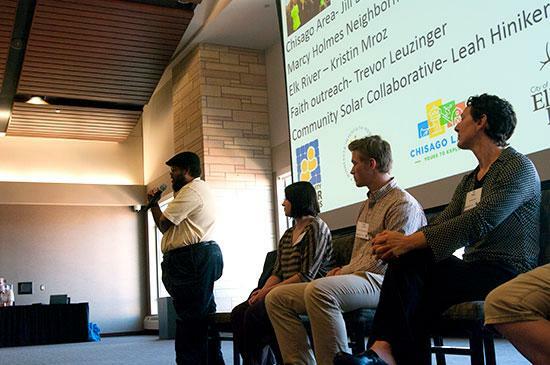 We heard from five communities across the Metro that are working on clean energy projects. All of these projects were assisted by Metro CERT with either a seed grant or staff assistance via the Clean Energy Accelerator. Community spotlight presenters answer audience questions. 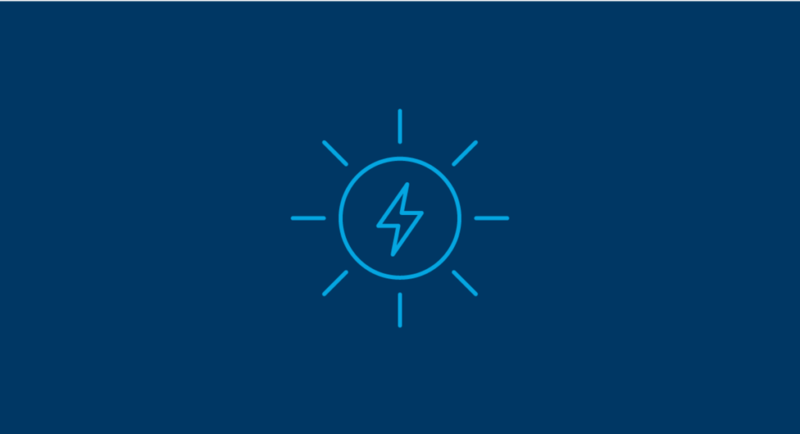 New Approaches: In the second half, we heard about new approaches to taking advantage of energy efficiency and solar resources at the community level. 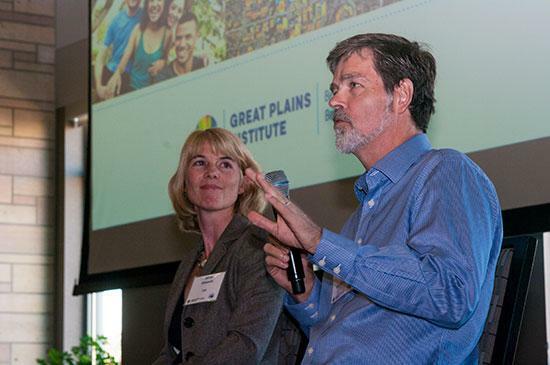 Jenny Edwards and Brian Ross gave local resources presentations about solar energy and energy efficiency. 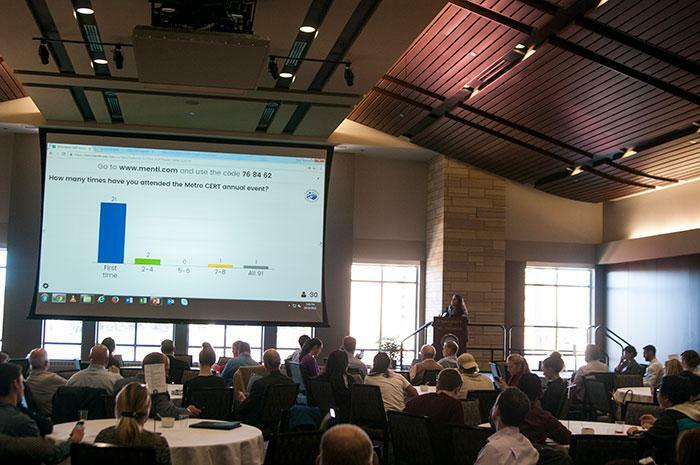 Live Polling: For the second year, we utilized a live polling technology to engage the attendees to explore where they were from, what they were passionate about and what clean energy topics are most important to them. The polling information will be used as the Metro CERT Steering Committee decides on key priorities for the Metro region later this fall. Networking: As always, the networking at the end of the event provided a chance to see good friends and make new connections with community members, local government staff, and professionals committed to renewable energy and energy efficiency while enjoying food and beverages. Photos: Check out photos of people connecting and earlier portions of the event. 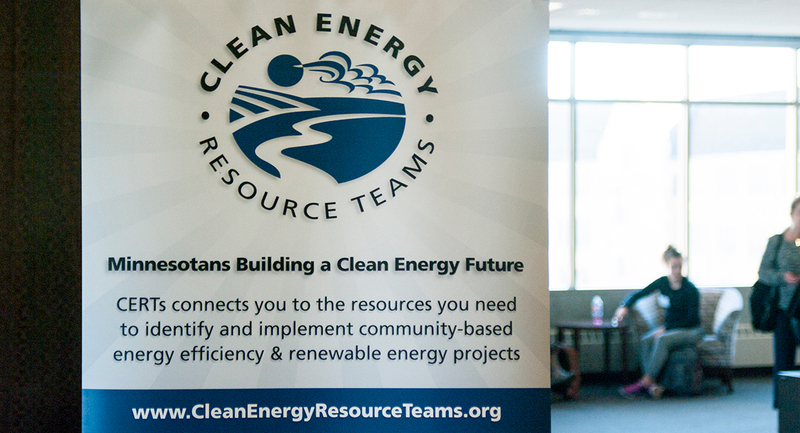 Operated by the Great Plains Institute, Metro CERT is one of seven regions that comprise Minnesota’s Clean Energy Resource Teams (CERTs) — a partnership of four organizations working together to connect individuals and their communities to the resources they need to identify and implement community-based clean energy projects.